The “Priscilla Butterfly” clog from Klogs is beautiful to look at and even more beautiful to wear. 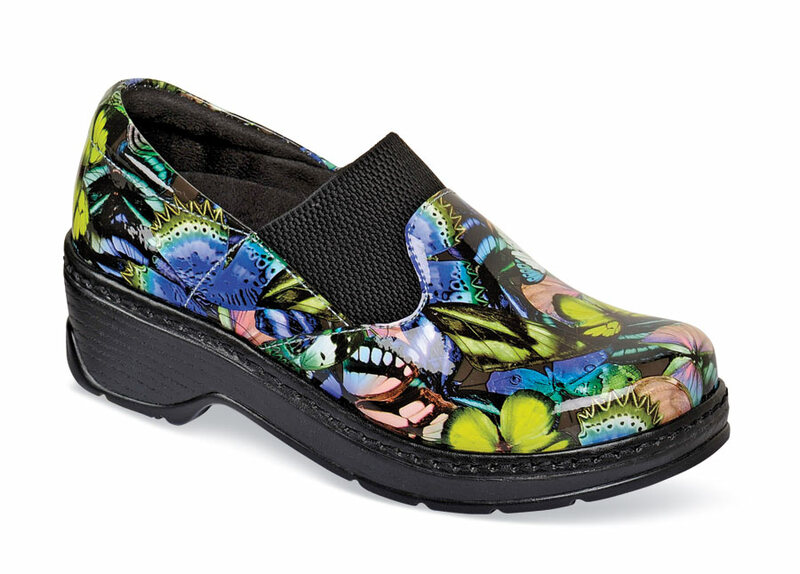 Its brightly printed patent uppers have an elasticized instep band, making the shoes easy to slide into and out of while holding the instep comfortably through hours of wear. Removable anti-microbial inserts accept most orthotics. 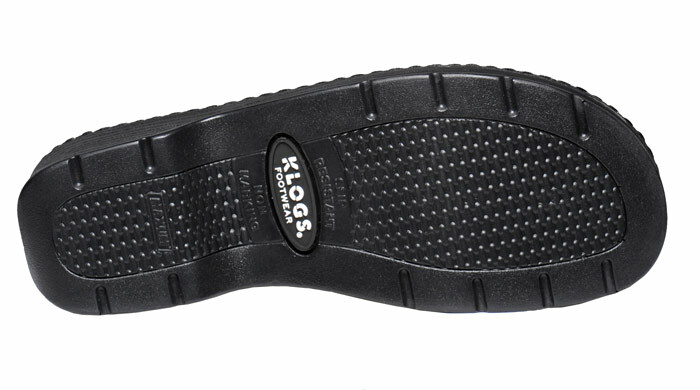 Slip-resistant, oil-resistant soles. Originally $119.95. Limited stock in a women’s extra-wide width in sizes indicated.